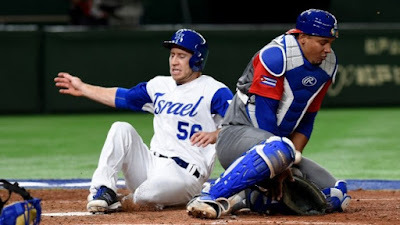 If you've been in a cave for the past week, you probably don't know that Israel's baseball team advanced to the quarterfinals of the World Baseball Classic, defeating 3rd ranked South Korea, 4th ranked Taiwan and 9th ranked Netherlands to get there. Israel's team was ranked 41st going into the tournament, despite having ten major leaguers on its roster. On Sunday in Tokyo, the Israeli team beat 5th ranked Cuba 4-1, and now needs just one win against top-ranked Japan or 9th ranked Netherlands (which they have already beaten) to advance to the semifinals at Dodger Stadium in Los Angeles. (If you're wondering, the US is ranked second). Israel’s batters overcame an early 1-0 deficit, and the team’s pitchers kept the heavily favored Cuban team to just five hits, continuing the squad’s unlikely Cinderella run. Cuba inched ahead in the second inning with a home run from Alfredo Despaigne, the player who singlehandedly sent his country into the second round when he scored all of Cuba’s runs against Australia on Thursday. But after that, it was entirely Israel’s game. Team Israel took a 2-1 lead in the sixth when Zach Borenstein singled to right scoring Ty Kelly from second base. Blake Gailen made it 3-1 with a two-out double to right that scored Nate Freiman. Israel tacked on another run in the eighth on a sacrifice bunt by Gailen that scored Borenstein from third. Josh Zeid pitched out of a bases-loaded jam in the ninth when he got Willian Saavedra to ground out to third with two out. The Israeli team has become the tournament’s unlikely darlings on its way to a 4-0 start in the international tournament. Now we all know that there may not be 10 Israelis who aren't American born who know how to play baseball. So how does Israel have 10 major leaguers on its squad? It's a rule quirk. Nearly all the members on Team Israel are American Jews. 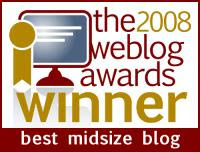 By WBC rules, a player may compete for a country if he is eligible for citizenship under its laws. Israel extends the right of automatic citizenship to Jews, their non-Jewish children, grandchildren and the non-Jewish spouses of their children and grandchildren. But they should have taken me along to read the Megillah for them (I've read it from a scroll more than 70 times to as many as 800 people). Let's go to the videotape. Israel will face the Netherlands at Noon on Monday Israel time. The win over Cuba gives Israel a strong mental boost ahead of games against the Netherlands and host Japan to advance in the quarterfinal round, which is played as a round robin. One win in those two games could be enough to bring Israel to Dodger Stadium for the semifinals. [Manager Jerry] Weinstein rebuffed critics who have called Team Israel really a second Team USA. "The attitude in our clubhouse is we are representing Israel. We are not the Junior Varsity team for Team USA. We are Team Israel, and make no mistake about that." After Sunday's win, starter [Jason] Marquis noted "We have quality baseball players on this team; guys who have big league experience, a lot of young prospects who have bright futures, and a good mix of veterans who can help these guys through these tournament games." Marquis did revel a little in becoming a role model in the United States. "It's a great story for people back home who follow the game and who are in our shoes - have Jewish heritage - to look up to players like us who may not have otherwise had that opportunity." I don't know about that. For most American Jews your Bar Mitzva is that time when you realize that you are far more likely to own a team than to play for one. Who's trying to infiltrate my computer?